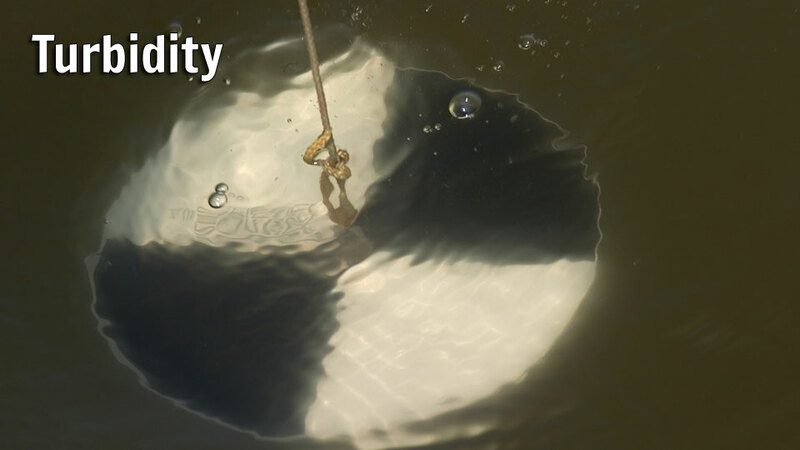 Turbidity is a measurement of water clarity. Dirty water loaded with sediments and disturbed muck increases turbidity and decreases water clarity. Historical recounts describe the clear “turquoise blue” water in the lagoon that one could see through to the bottom. The data demonstrate that turbidity significantly increased over the 20 years from 1996–2016. Sediment enters the lagoon from canal discharges, stormwater pipes, and run-off. Muck on the bottom is easily stirred up by wind and wave action, muddying the waters until it settles again. Extensive algae blooms also increase turbidity. Clear water is important for the lagoon’s sea grasses that must receive sunlight to photosynthesize and grow. Without seagrasses, fisheries decline, manatees starve, and primary production in the lagoon decreases. The regulatory targets for turbidity are linked here. Click here to see how turbidity scores were calculated.